Renting a home or apartment is a popular living arrangement in Louisiana, especially in urban areas like New Orleans. In some ways, renters have more freedom and less obligation than owners. However, the state of Louisiana has not adopted the Uniform Residential Landlord-Tenant Act followed by most states, which often makes renting laws in Louisiana unique. There are no limits on how much a landlord can charge for a security deposit in Louisiana, and the landlord is not required to pay the tenant interest on any security deposit collected. However, the landlord is legally required to return the deposit to the tenant within 30 days of the end of the lease. If the full deposit cannot be returned, the landlord must supply an itemized list of deductions, such as repairs to property damage caused by the tenant, and any remaining portion of the security deposit. The state of Louisiana does not recognize a grace period for rent payments. This means the landlord is under no obligation to accept late rent payments, and can sue the tenant in court for an eviction. Landlords are not allowed to raise rental fees during a lease contract, unless the lease is on a month-to-month basis. In that instance the landlord can raise the rent providing they give a written notice to the tenant at least ten days in advance. The landlord is responsible for making repairs to the property in a timely manner. 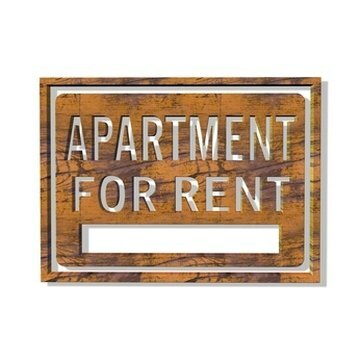 The tenant is responsible for assisting the landlord in making those repairs by moving personal property out of the way or being available at the property if needed. Tenants may not withhold the rent if the landlord does not make repairs, even if the damage makes the property uninhabitable. According to LawHelp.org, some circumstances allow a tenant to deduct repair costs from his rent payment. However, it is recommended that the tenant get the assistance of a lawyer before doing so as landlords have the right to evict a tenant for partial rent payments. Tenants on a month-to-month lease can cancel their leasing agreement by giving the landlord a written 10-day notice. Tenants on longer leases can only cancel their lease early in certain conditions, such as military service that requires relocation, a flood or fire that destroys the property, or if the tenant can prove either the landlord or the neighbors are preventing peaceful possession of the property. For example, if the landlord intentionally mislead the tenant to believe the area was much safer then it actually is, the tenant may have a right to cancel the lease early. Jenkins, Amelia. "Louisiana Laws for Renters." , https://legalbeagle.com/6510429-louisiana-laws-renters.html. Accessed 20 April 2019.